BARGAIN PRICE! Move-in Ready. 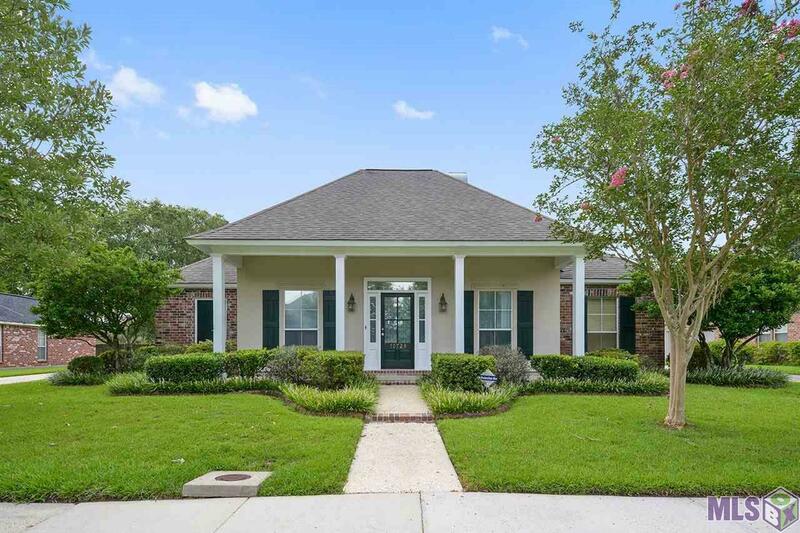 Acadian style home in lovely Fairhill at Bluebonnet Subdivision. So conveniently located near Interstates, Hospitals, shopping, parks, and more. House has been well maintained. Fresh interior paint with all neutral colors. Large eat-in Kitchen with newly installed stainless wall oven. Lots of kitchen cabinet and counter space. Huge (double door) pantry for storage. Eat-in area with wall of windows, big enough for larger than normal table or furnish as a keeping room....be creative. Open den with wall of windows feature built in shelves, fireplace , wood floors throughout den, dining and foyer. Master Suite with large master bath cathedral ceiling, separate vanities, large jetted tub, separate shower. A MUST See! Landscaped front and side yards, ideal sized back yard with covered patio. Notice the additional patio space added. At the rear carport is an outside storage room. Extra parking off covered carport. Architectural roof installed in 2012. This one is a MUST SEE! Subdivision HOA offers Gated Recreational area to include 25 Meter Pool, Tennis Court, Soccer Field, and playground. Owner will consider a Lease-Purchase. Exterior: Landscaped, Outside Light, Patio: Covered, Storage Shed/Bldg. Interior: All Window Trtmt., Attic Access, Built-In Bookcases, Cable Ready, Ceiling 9&apos;+, Ceiling Fans, Ceiling Tray, Ceiling Varied Heights, Crown Moulding, Elec Dryer Con, Elec Stove Con, Inside Laundry, Sm Window Trtmt.